8x10 oil on canvas panel. 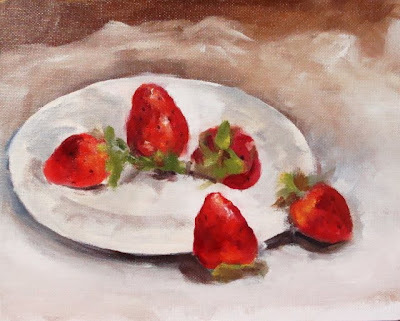 A study of strawberries. Oil sketches from last summer. 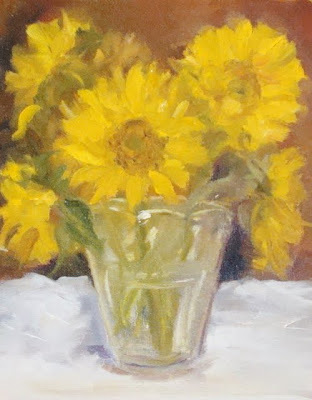 8x10 Sunflower study, like I said on my watercolor blog, I have a problem painting sunflowers and daisy's. I will do more detail work on this tomorrow. In the meantime, it's a beautiful Sunday on Long Island. Maybe, some outdoor sketching. Happy painting everyone. Everything must come to an end. These little flowers were a joy to paint. One thing good is that I don't have to spell their name Alstroemeria again, who thinks up these names anyway. I'm off to Stop&Shop, to check out their flowers. Happy painting everyone. These little flowers are so patient. I bought them a week ago and they are hanging in there. I'm hoping to capture their delicate beauty. The vase was a gift from my cousin Bob, 20yrs. ago. Now I will go to the next group of Alstroemerias. Happy painting everyone. Oh before I forget my cousin Sue has just started blogging. She is new to the world of bloggers and still learning about posting. 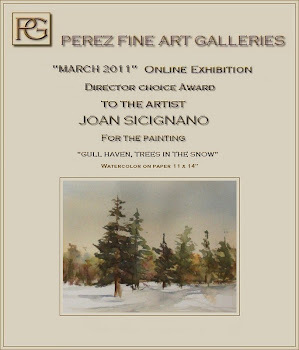 You will find her blog on Sue Greco's Art. 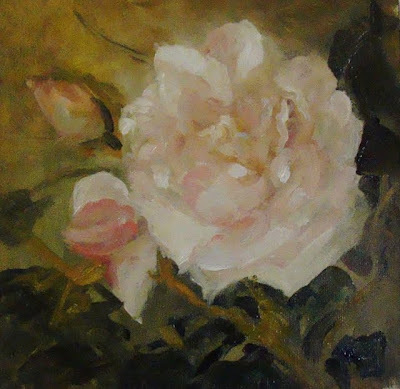 While waiting for the first blooms of spring I painted this rose from a photo. Last night I stopped at Trader Joe's to buy some fresh flowers for today's painting. 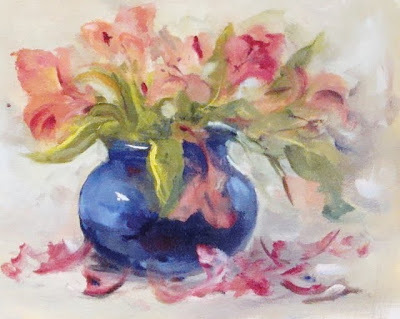 Thanks to Diane Hoeptner who paints beautiful floral paintings in oil. I purchased alstroemeria, they look like little tiger lily's. It will be a challenge to capture the little beauties. Aren't we all so fortunate to be blessed with this love of art. Happy painting everyone. Actually HOG farm which burned down recently. 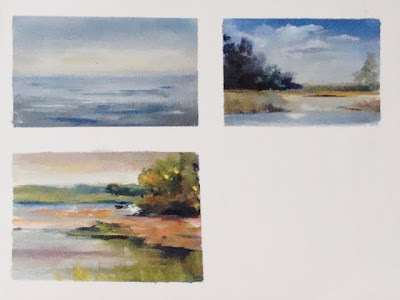 It was a lovely plein air location this past September. 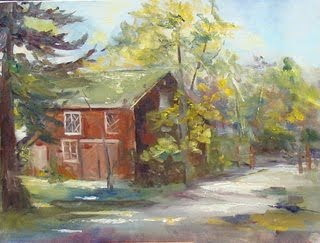 This painting was accepted into the juried art show at the Art and Soul Gallery in Eastport. Also if we can all keep Alex Perez and the people of Chile in our prayers during this very devastating time.